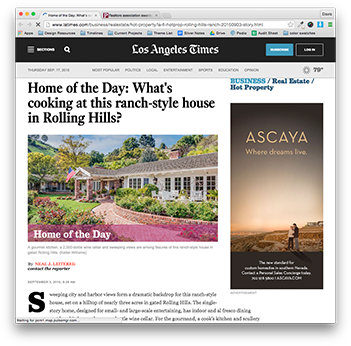 One of our homes for sale in Rolling Hills was featured as the “Home of the Day” on the Los Angeles Times website. This 5-bedroom, 6-bathroom home is an entertainer’s dream. With a 2,000 bottle wine cellar and a cook’s kitchen, this home is designed for gatherings.